Figure 1 demonstrates a simple design of a one tier grillage foundation for a steel stanchion. 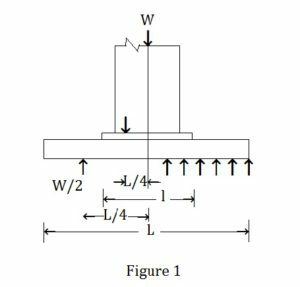 The bending moment and shear force required for the grillage beam design can easily be arrived by the following simple method. Let, W = Load supported by one beam in N.
L = The length of the beam in m.
l = The length of the base plate in m.